The Porterhouse Bar group are launching their world famous Belgian Beer Festival tonight across venues in Dublin, Bray and London for the month of August. 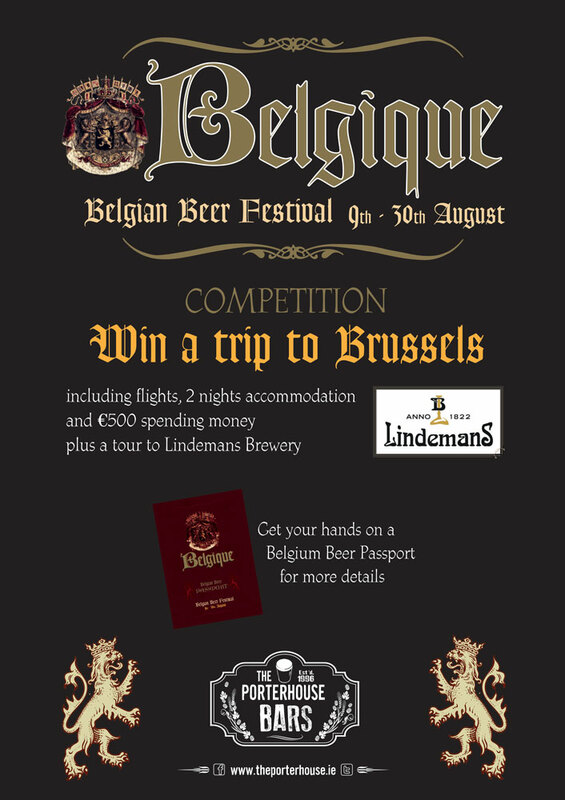 They are giving one lucky customer the chance to jet off in style to Brussels for a days beer tasting at the world famous Lindemans brewery. 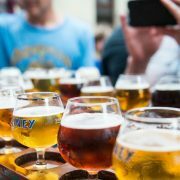 For your chance to win simply get your hands on a Belgium Beer Passport at one of their fabulous bars. This fantastic prize includes flights, 2 nights accommodation and €500 spending money and of course a tour to Lindemans Brewery. https://hotspots.ie/wp-content/uploads/2018/08/porterhouse-bars-belgian-beer-festival.jpg 613 1000 Mr.Hotspots https://hotspots.ie/wp-content/uploads/2016/03/Hotspots_logo_web.png Mr.Hotspots2018-08-08 21:00:322018-08-08 21:50:26Fancy jetting off to Brussels courtesy of the Porterhouse Bars?